In western countries there is fierce competition to get a place in medical school. Only straight A students with an impressive portfolio of extra-curricular activities need apply. In China, the picture is very different. Even the top medical schools in China are struggling to attract students. 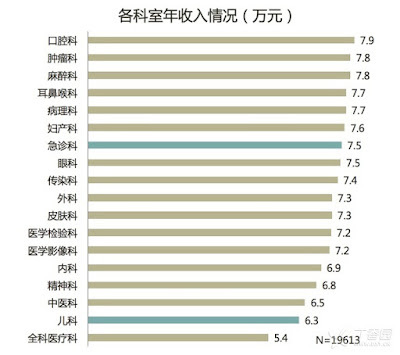 This week, Professor Yang Jun a distinguished cardiologist and head of the First College of Clinical Medical Sciences, Hubei, notes that Shanghai's prestigious Fudan University has had to drop its entrance mark threshold by 58 marks this year. The same "dumbing down" has been seen at the city's Jiatong University medical school and other medical schools across the country. 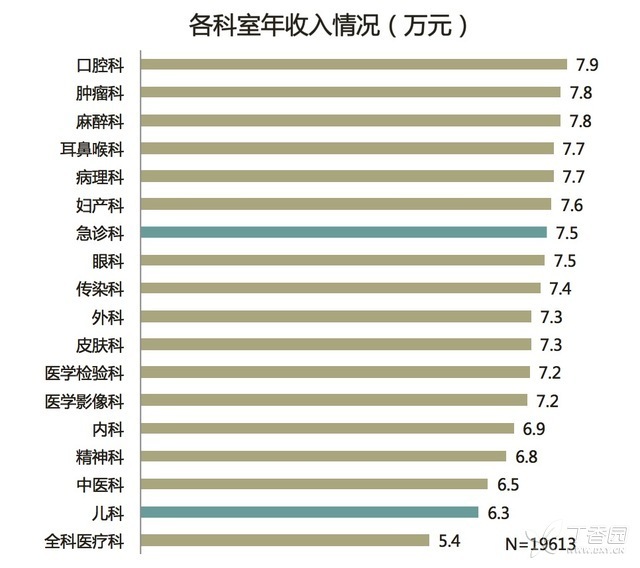 When China's top medical school at Peking Union Medical College allotted 10 places to Guangzhou students, only four applications were received - and of these only one was deemed to make the grade. What's happening? 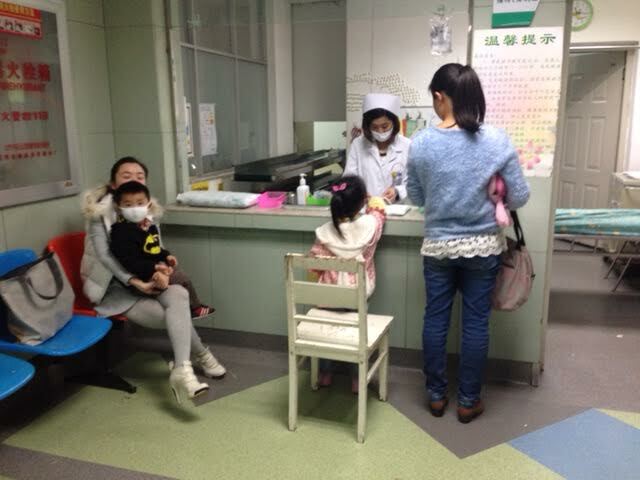 The fact is, nobody with any ambition wants to be a doctor in China right now, and you can see why. The three main reasons are poor pay, long hours and terrible working conditions - including the real possibility of abuse and violence. Writing in the International Journal of Cardiology, Professor Yang notes that the average salary of a doctor in China is 72,000 yuan a year (US$11,600) - and many doctors earn a lot less than that, especially if they work in unpopular specialities such as paediatrics or emergency medicine (the so-called ambulance riders). For this salary, doctors have to work long hours - more than 50% of doctors work more than the 'specified' 40 hours a week and 30% work more than 60 hours a week. Doctors also face huge workloads - as many as 80 patients in a single morning shift. As Professor Yang observes, the Mayo Clinic in the US has fifteen times more staff than the Peking Union Medical College, and yet it has only half the patient numbers. Doctors in China simply don't have time to practice adequate medicine - and the consequences are unhappy patients who take out their frustration on staff. A recent survey of almost 10,000 doctors found that 60% had recently experienced abuse from patients, and 13% had experienced physical assaults. Doctors also have to study long and hard to qualify - up to ten years including undergraduate and postgraduate qualifications. On top of this they have to publish articles and to gain academic merit for promotion. Doctors have lost the status and respect they once had - and only 6.8% of doctors say they would advise their children to follow a career in medicine. This is already causing problems in the less popular branches of the profession. On 27 July, the National Health and Family Planning Commission announced that it would be waiving the usual entry criteria for admission to the specialities of paediatrics and emergency medicine. Medical student candidates who did not achieve the usual pass mark would be allowed to become trainee paediatricians and emergency medicine doctors if their coursework was of sufficiently high standard, the NHFPC announced. This has caused outrage among doctors currently working in these specialities, who say it is a desperate and self -defeating move that will further reduce the attractiveness of their branches of medicine. They say there is a need to improve pay and conditions in their work rather than lowering the bar to entry. Paediatrics and emergency medicine and notoriously poorly remunerated and yet high pressure jobs in the Chinese healthcare system. Assaults on doctors in these departments are numerous as they are in the front line seeing critically ill patients - especially the treasured offspring in a one-child system. The doctor's social network site DXY echoed many of the criticisms of the "dumbing down" move. As one doctor wrote: "We work longer hours for less pay in unsafe conditions, but we stick to our posts because of the duty we have to the little ones who thank us after we have care for them." Yes the "grey income" is significant for some branches of medicine. I think this is why paediatrics and emergency medicine practitioners suffer, because there is less opportunity for commissions, bonuses and 'hongbao'.